You thought about it many times, calculated all the benefits (apart from health, quitting smoking is also beneficial for your budget) and finally made the decision to quit smoking. Congratulations! The only problem now is to find ways to fill that 2 extra free hours – yes, it sounds incredible but this is the time the average smoker spends per day smoking. Also, you need something quite interesting and quite new so you do not feel that the cigarette is missing from your life. What can you do? 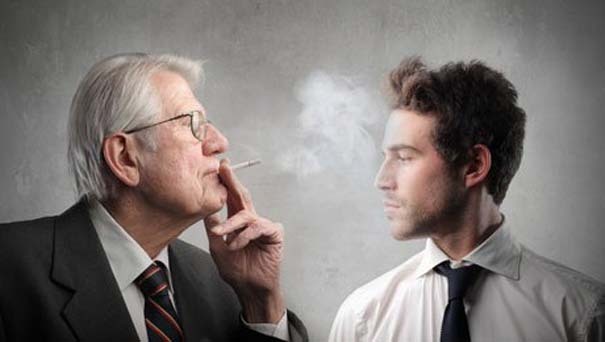 First, the good news is that once you made the decision to quit smoking, the sudden urge to light a cigarette passes after a few minutes if you manage to be distracted by something else. The bad news is that those few minutes may seem like an eternity. So you need something interesting to distract you: the attempt to concentrate on your work, especially if it is not creative, will create quite the opposite results. If going to the gym is expensive or simply is not your type, don’t worry there are alternatives. Start with the most inexpensive, fun and effective exercise of all: walking. Start with a short 10 minute walk (indoors or outdoors) and then run-in the park, the beach and practically anywhere. Whenever you get the feeling of smoking get up and start walking. Sleep will help you relax, is good for your body and will also reduce your stress levels. In addition the potential to lose all your friends from your abnormal angriness caused by the nicotine syndrome is minimized. The worst that can happen is to experience nightmares with smoke-filled rooms and yourself smoking. Spend more time with your children-if you do not have kids offer to babysit the children of friends or relatives. It doesn’t matter if you play, paint or just talk with them. The most important is that you wouldn’t want to smoke while you are with them. If you are not the most patient person in the world (or patience left you because of the withdrawal syndrome) seek to be in places where you cannot smoke: cinema and theater are the most classic choices, although in the majority of countries, smoking is not allowed in all public places. Take a pen and paper and calculate the money you will save next month / year / century by quitting smoking. Search the internet for ideas to reward yourself by spending on air-tickets, hotels, clothes, books; collectible DVD of your favorite series, whatever gives you the most fun. Keep your hands busy with whatever you like to do: gardening, painting, building, writing, online chat, video games, crosswords … The important thing is not to have a free hand to hold a cigarette-so books and DVDs in this stage are excluded (you need to keep both hands busy). Learn to play a guitar or piano or any other musical instrument. Not only will keep your hands busy, you will also get a chance to try something new which is also a great exercise for the brain and memory. Sunflower seeds are an excellent solution to keep your hands busy. Keep a bottle of water next to you to balance the salt and do a little practice to eat the seeds without attracting attention and you are good to go. Beware though, seeds are healthy but they do have calories so eat in moderation. Speaking of calories, the sooner you accept the universal truth that you cannot quit without gaining weight, less are the chances to light a cigarette to avoid emptying the fridge. Think about this: when the withdrawal symptoms of quitting smoking are gone, you can start dieting. There is no need to start fighting two enemies at once. After all, what are a few extra pounds compared with the health dangers of smoking?